LDAPS Load Balancing with Citrix NetScaler 11. In this post, we will see how to load balance LDAP with our external NetScaler 11 HA pair created in Lab: Part 6 – Configure NetScaler 11 High Availability (HA Pair) and how to use NetScaler to offload SSL. By default LDAP uses port 389 (PLAIN TEXT). We could just create a LB virtual server for the port 389 but Active Directory requires secure LDAP (LDAPS) on the port 636 for password changes. Note: in our lab, we only have 1 DC. Go to NetScaler > Traffic Management > Load Balancing, select Servers and Add. Add all Domains controllers you want to be part of the load balancing. In the lab, we only have one domain controller but the following procedure is the same. Go to NetScaler > Traffic Management > Load Balancing, select Service groups and Add. Repeat the operation for all servers. Citrix offers a Perl script to monitor LDAP service, documented here: CTX114335 and CTX117943. This advanced monitor performs an LDAP query and check for a valid response over the NSIP address. However in our lab, the NSIP does NOT communicate with our Domain controllers which is required to use the advanced monitor. 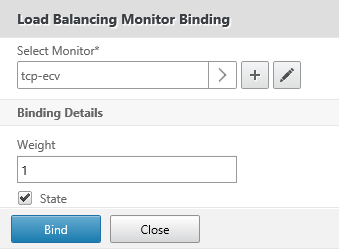 Go to NetScaler > Traffic Management > Load Balancing, select Virtual servers and Add. The virtual server is currently DOWN because the Certkey is not found. We need to import and assign a certificate. Go to NetScaler > Traffic Management > SSL, select Certificates and Install. Go to NetScaler > Traffic Management > Load Balancing, select Virtual servers. The virtual server is now UP. Go to Scoring an A+ on SSLLABS.COM with NetScaler 11 VPX and follow the instructions. In the next post, we will discuss how to configure active directory authentication for NetScaler gateway or for the management website. Stay tuned.